Sharon listens to you so that she can learn what's really important to you. She knows that your time is valuable so she will make time for you when you need it. 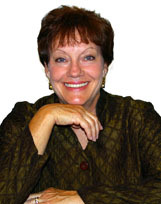 She will take care of all the details so that you can relax and enjoy the experience of buying a Colorado Springs home. Whether it's your first, your last or one of many. Sharon sells Colorado Springs real estate with skill, enthusiasm, integrity and a deep commitment to her client's needs from start to finish... And don't forget... with Sharon, you don't just settle....you settle for more.